John (Jack) Edward Shawd had already served in the South Canterbury Mounted Rifles [Territorials] prior to World War One. He was a farm labourer from Glen-iti, Timaru, at the time of his enlistment. Jack arrived in Egypt in August 1916 and was posted to 8th (South Canterbury) Mounted Rifles Squadron, with the rank of Trooper. On his arrival he was sent to hospital with Diptheria and on recovery was sent to school of instruction, before being posted to his squadron in the field in December 1916. At the end of May he was again in hospital, this time with tonsilitis, convalescing at Abbasia. At one point Jack was fined seven days pay for ''breaking camp''. 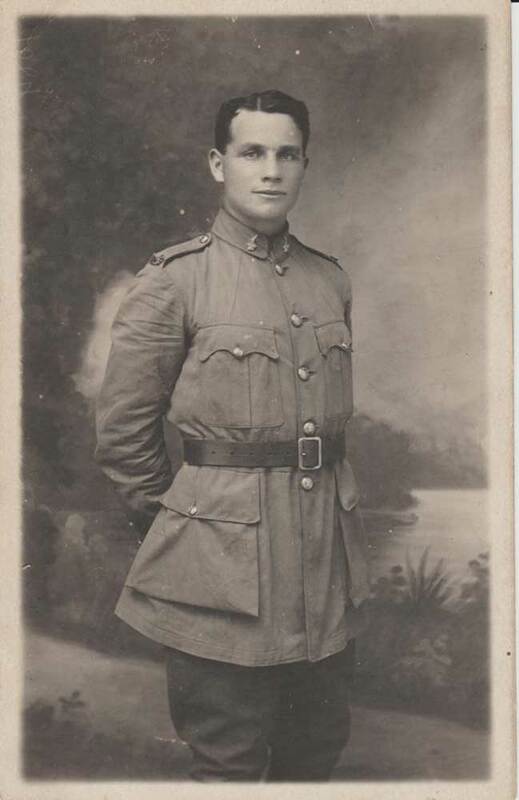 He was then transferred to ANZAC signalling section and posted in the field in August 1917. Four months later he was back in hospital suffering from 'quinsy' and admitted to hospital in Gazza. He was transferred to an Egptian hospital in Abassia. He recovered to be posted to 8th Squadron in July 1918, in the Jordan Valley. Jack was again sent back to hospital at Belah, with a reoccurance of his tonsilitis, but was back with his squadron by the time the hostilities with the Ottoman forces had ended. Jack was part of the Canterbury Mounted Rifles force that occupied the Dardenelles after the war. He left Egypt in July 1919, once again becoming sick on board with tonsilitis . Auckland War Memorial Museum Cenotaph Database [21 September 2017]; 'John (Jack) Shaw' on Unknown Wartriors of the NZEF [Facebook page], 4 May 2016.